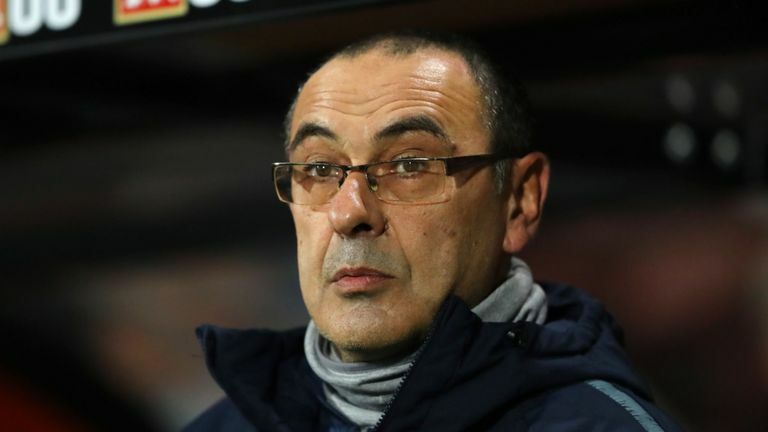 Maurizio Sarri has slammed his boys for their mentality in the 4 - 0 loss to AFC Bournemouth on Wednesday. Chelsea FC had a rough night at the vitality stadium, Joshua King scored twice, with David Brooks and Charlie Daniels completed the wounds, as the Cherries recorded their first home win over Chelsea since September 1988. The result leaves Chelsea dangling in fifth and out of the UEFA Champions League places after they succumbed to their heaviest defeat in 23 years. "Maybe it's my fault because maybe I'm not able to motivate this group and these players. I don't know why. But I need to understand and we need to understand very soon because we have to play in three days. "We are doing something wrong with our mentality, of course. We need to understand why and we need to react to the difficulty. For me it's really difficult to understand why. I'm trying to do it, and I will try to do it tomorrow but it's not easy." Chelsea have now accumulated fewer points 47, as compared to last seasons 50 points in 24 games and after this defeat will require a winning response against Huddersfield Town in the Weekend.